With the release of Famicom Wars, breakaway developer Intelligent Systems made their mark on the videogame market. The layers of carefully planned strategy involved in taking control maps was a vital component of the game's success. The hexagonal maps of the original Game Boy Wars were similar to Hudson Soft's strategy series Nectaris. 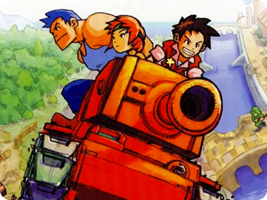 Hudson went on to develop and publish three sequels to Game Boy Wars themselves.